Nothing gets a diet into the public eye quite like a debut on the Dr. Phil show. The P.I.N.K. diet got its moment in the sun on the Dr. Phil infomercial (oops, I mean show) on November 28, 2011. PINK is actually an acronym, standing for Power, Intensity, Nutrition and Kardio (ouch!). This diet is exclusively designed for the female body, so guys move along, there's nothing here for you. For you women, here's a quick overview of the PINK method for good health. Promising to help you drop 100 pounds or more, the PINK diet was created by nutritionist Cynthia Pasquella. Her $68 plan is a slick package of menu guides, recipes, workout DVDs, exercise plans, an on-line community and a pre-printed certificate of completion. 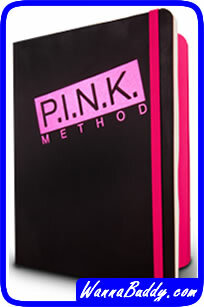 Act now and receive a free PINK Method wristband. No, really, I'm not kidding, you get a wristband. There are four stages to the PINK program. A lot of the glossy information talks about their unique three phase system, but avid students of counting will detect four stages. Each stage addresses a specific goal and counters common dieting issues. The first stage is called Reset. This is a short-term diet that is designed to jump-start your metabolism. You begin your exercise regimen with the lovely Jenna on the DVD set and learn proper exercise form and get limber again. Your time spent in this phase is dictated by your starting weight. Phase two is called Primary. In this stage you are drinking a lot of blender meals and hitting the exercise DVDs with Lisa pretty hard. Phase two is the time where you will lose the majority of your weight. Most days begin with a pink smoothie for breakfast. Lunch and dinner plans focus on chicken or fish and lots of vegetables and brown rice. The recipe book has options for nearly every individual circumstance, including vegetarianism and food allergies. Phase three is called the 7-Day Shred. As you might expect, this is a week-long drive to your goal weight. Most people have difficulty with the last few pounds, so the 7-Day Shred is an intense exercise and diet regimen to bully your body into cooperating. The lovely Basheerah guides you through the DVD-based exercises, making you rediscover muscles you forgot you had. Phase four (I warned you that there were secretly four phases) is called Preservation. This is a life-long diet and exercise plan for maintaining your goal weight. The recipe book will be your friend as you plan your meals within their guidelines. The exercise DVDs are yours, so you can revisit your favorite routines and keep your cardio (just can't spell it with a K) going. Have you tried the PINK diet? Click in the Comment button and share your thoughts. I just started the Pink diet. It is more difficult than I thought it would be. I am not that overweight, could stand to loose 10-15 lbs, so I wonder how someone who is more overweight than I am is handling this. Also, since starting this diet (I am on day 4 of the Reset)I have not yet had a BM. I don't even feel like I need to, so I wonder if my body isn't using every shred of what I am putting into it as fuel to keep me going. I thought I would be on the toilet constantly as most of what is eaten is vegetables! Are there exercise modifications for those with permanent injuries? 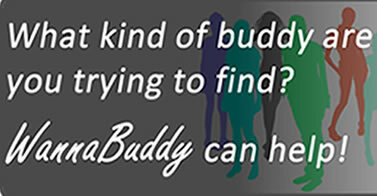 I have a back injury as well as fibromyalgia. Not worried so much how it will affect the fibro mostly just worried how it will affect the back. Anyone know if it can be modified? Hey, Anonymous (Jan 6), you should always check with your doctor about modifying exercises for a back injury, but I have friends that have had good luck with similar situations, just eliminating the "impact" moves and substituting slower, stretching style movements. Not quite as much cardio benefit, but no back pain either. Good luck! I haven't noticed any problems for back muscles. You can do any exercise in moderation and the important thing to remember is to keep moving. In many of the exercises a modification is shown. I have been working out with P.I.N.K. since Jan. 2. I wanted the program for my muffin top. It seems to be helping. Keep trying. Just started Phase 2. It's great! I love the exercises. Lots of jumping. I really sweat. Pounds are starting to come off.